Australia’s Leaders in the industry. Sanitair™ Coffs Harbour are the only Authorised and Licensed Air Con Cleaning technicians for Coffs Harbour, Nambucca Heads and surrounding region. Aircon cleaning Coffs Harbour are locally owned and operated licensed technicians supporting the local community. Nationwide 12 Month Mould Free Guarantee. We do more than just clean the filters we clean and sanitise your system which improves the health of your indoor air for you, your family, your customers and your staff. 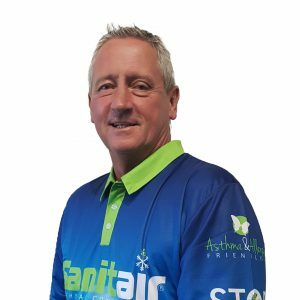 John Winnacott your local licensed HVAC Hygienist FREECALL 1800 130 168 for your Local Licensed & Authorised Sanitair™ Technician. Air Conditioning Cleaning Coffs Harbour, Sawtell, Toormina, Corindi Beach, Red Rock, Mullaway, Dirty Creek, Woolgoolga, Nambucca Heads, Urunga, Newry, Bellingen, Macksville, Buffer Creek, Orama, Thora, Valery, Bom Bom, Carrs Creek, Shannon Hill, Wombat Creek, Winegrove, Waterview, Boambee, Bucca, Moonee Beach, Sapphire Beach, Sherwood, Ulong, Scotts Head, Clarence Coast and surrounds. At the heart of this region is Coffs Harbour, a coastal city on the southern edge of the Solitary Islands Marine Park, a haven for whales, turtles and grey nurse sharks. You’ll find plenty of things to do and see in the city, which is home to the Big Banana, one of Australia’s iconic big things.